Public Art is part of our history, part of our evolving culture and our collective memory. Public Art reflects and reveals our society and adds meaning to our cities. 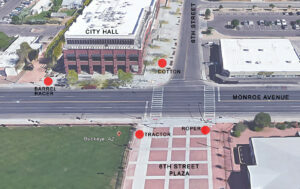 Jerome is rooted in mining, Payson is Mountain country and Yuma was founded on frontier justice. 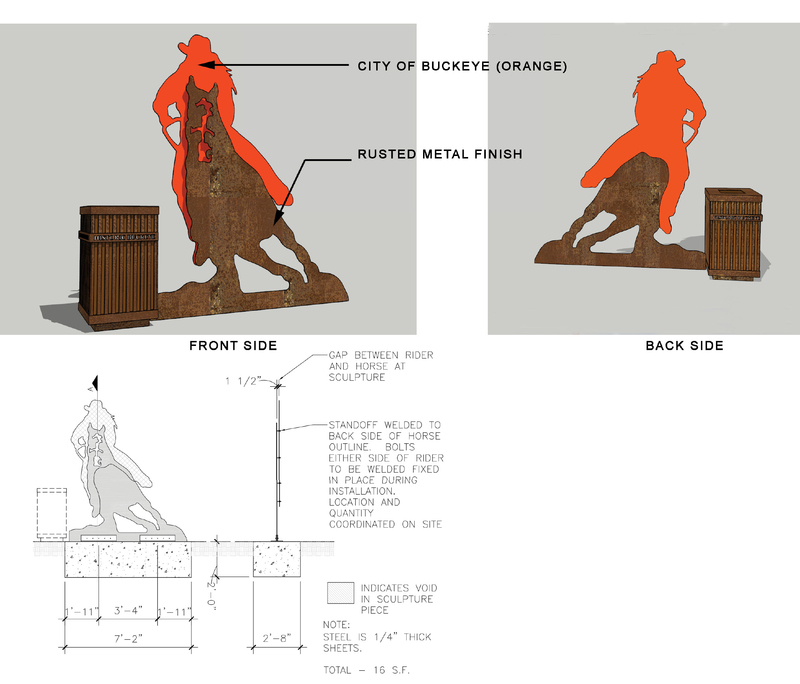 Buckeye Main Street Coalition is facilitating the design and fabrication of sculpture to represent the heritage of Buckeye with iconic symbols such as a tractor, rodeo barrel racer, rodeo roper, cotton boll and honoring our local servicemen and women. 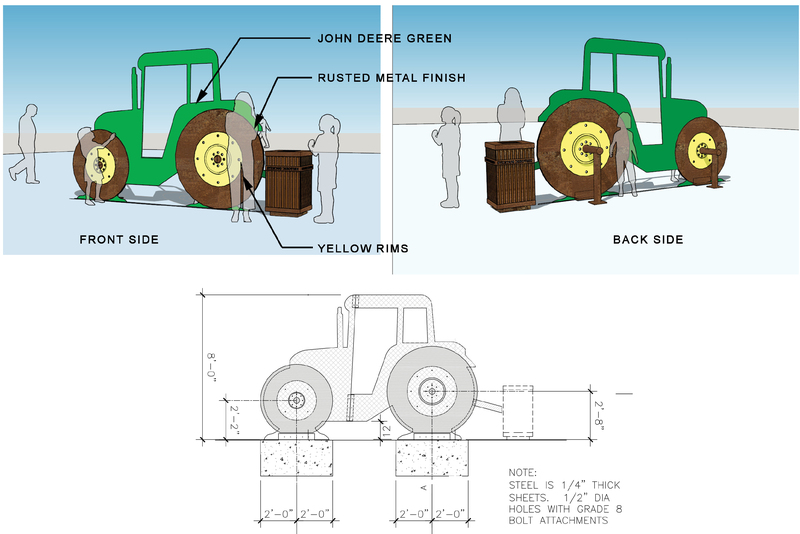 These iconic symbols of Buckeye will be incorporated with and attached to refuse containers as function as well as art for downtown. 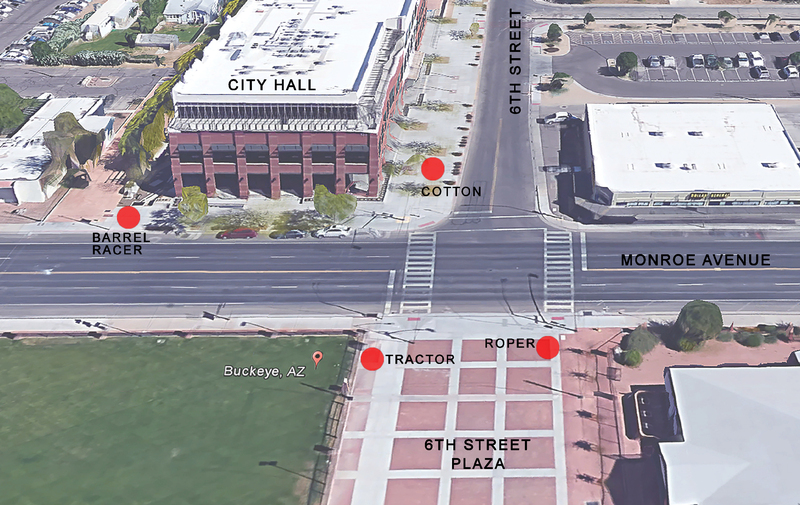 Powers-Leavitt Insurance, Buckeye Main Street Coalition and the City of Buckeye are covering the costs of fabrication and installation. 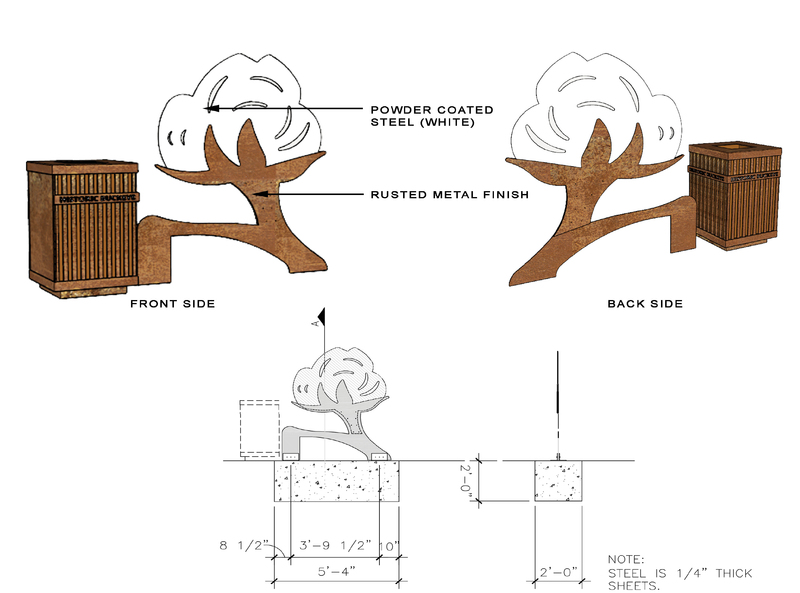 Fabrication of each sculpture will take place at the Buckeye Union High School Welding Shop by students and instructor, Hondo Jimenez. 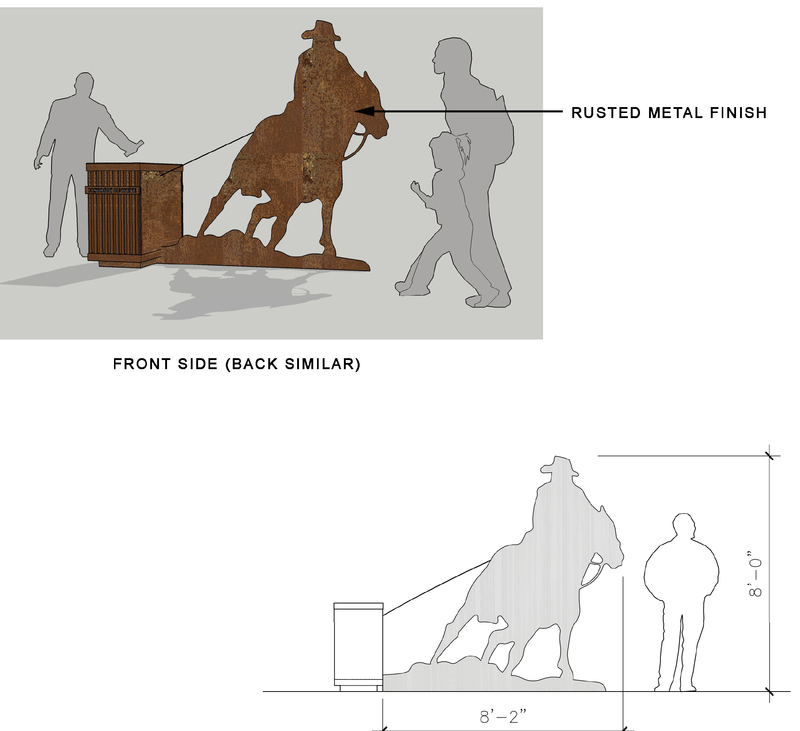 The 5 sculptures will be located in various locations in front of Buckeye City Hall and 6th Street Plaza just south of the City Hall. There will be one sculpture located at Benbow Veteran’s Memorial Park just west of City Hall. Completion of project scheduled for June 30, 2016. The permit for construction has been approved and fabrication will begin after Spring Break! More updates to follow on this exciting project! What a wonderful way to honor the roots of the city, involve students, and give both residents and visitors interesting art! What a wonderful Idea! Thank you. I am excited to see the productions! The city needs more ideas like this. Then of course A C T I O N ! The potential for Buckeye is great!